Guggenheim Helsinki was a project organized by the City of Helsinki and the Solomon R. Guggenheim Foundation that explored the possibility of building a Guggenheim museum in Helsinki. The project and its implementation were discussed from 2011 to 2016. In 2010, the City of Helsinki invited the Solomon R. Guggenheim Foundation to conduct a concept and development study regarding the potentiality of building a Guggenheim museum in the Finnish capital. 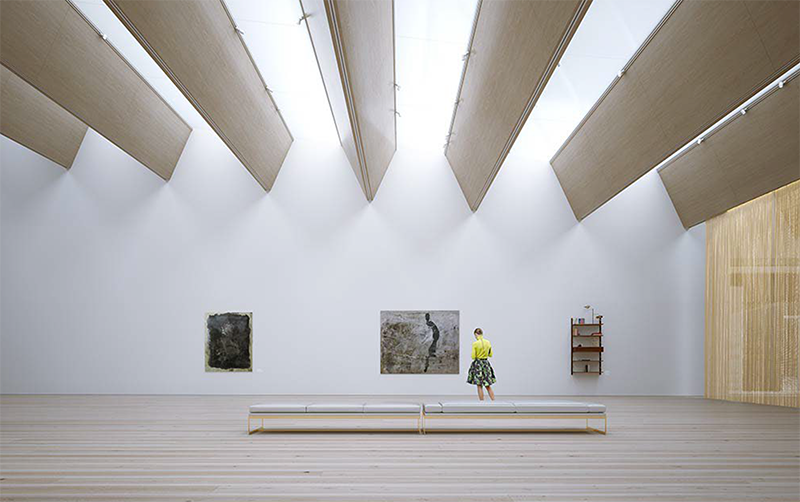 Announced and conducted in 2011 and presented in January 2012, the study proposed a multidisciplinary museum highlighting art, architecture, and design. The Kanava Terminal in Katajanokka on Helsinki’s South Harbor was reserved as the museum site. In May 2012 the Helsinki City Board voted not to move forward with the proposal, citing project costs. After the City Board decision, the Guggenheim Foundation remained committed to realizing a museum in Helsinki and a new proposal was published in September 2013 that included a wider scope of perspectives on the project’s economic, social, and cultural impacts. At the presentation of the proposal to the public, the Director of the Solomon R. Guggenheim Museum and Foundation, Richard Armstrong, said that Helsinki would be an ideal place for the museum "with its rich legacy of art, design, and architecture. A city that bridges the East and the West, poised at the nexus of the Nordic and Baltic regions, Helsinki is the capital of a nation that honors education and culture as the foundation of its international success." 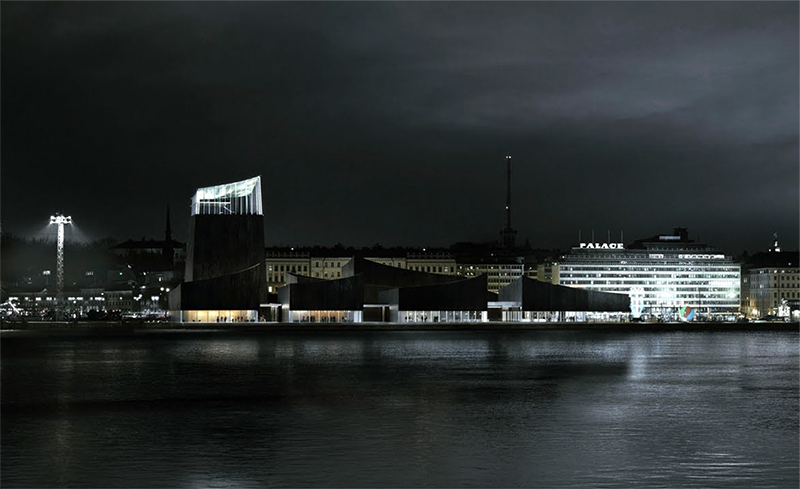 According to the revised proposal, the State of Finland, the City of Helsinki, surrounding cities, and private investors would be responsible for the museum’s capital and operating costs. The proposal presented four possible funding models for the museum, each providing an alternative division of the costs associated with the construction and licensing fees. A new site was also proposed at Eteläsatama, which is on the other side of the harbor from the original site. In January 2014, the City Council agreed to reserve the site for one year, during which an international architectural competition would be conducted. An open, international architectural competition for the Guggenheim Helsinki museum was launched in June 2014. A total of 1,715 proposals from 77 countries were submitted to the first stage of the two-stage competition. The six finalists were announced in December 2014 in Helsinki, and submissions from the competition were shown to the public for the first time at the Guggenheim Helsinki Now exhibition at Kunsthalle Helsinki in the spring of 2014. 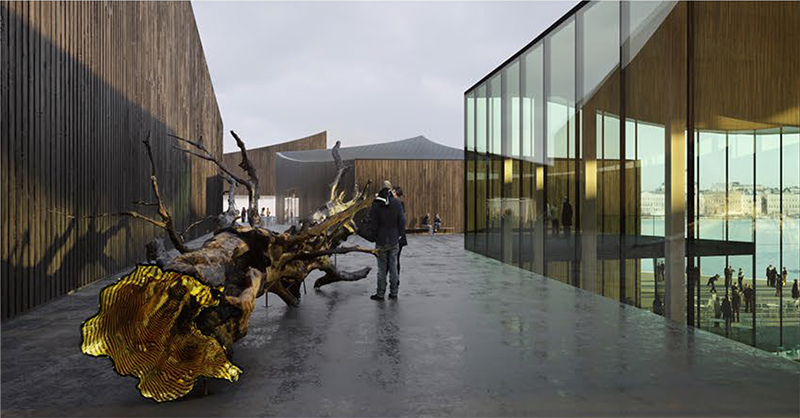 In June 2015, Paris-based firm Moreau Kusunoki Architectes was announced as the winner of the Guggenheim Helsinki Design Competition. In September 2016, the incumbent state government decided not to grant funding toward building a Guggenheim Helsinki museum. Using this decision as the starting point, Helsinki's Deputy Mayor Ritva Viljanen presented a proposal in early November to the Helsinki City Board and the Helsinki City Council that detailed how the museum could be still be realized through the financial support of the city and private donors. On November 30, 2016, the Helsinki City Council rejected the proposal. While there are no further plans to develop a Guggenheim museum in Helsinki, the Guggenheim Foundation continues to pursue cultural dialogue and exchange around the world through its existing network of museums and international collaborations, curatorial residencies, commissioning programs, shared collections, and other activities. The City of Helsinki announced that it had asked the Guggenheim Foundation to produce a report on the possibility of building a Guggenheim museum in Helsinki. The Helsinki City Board voted against the project. 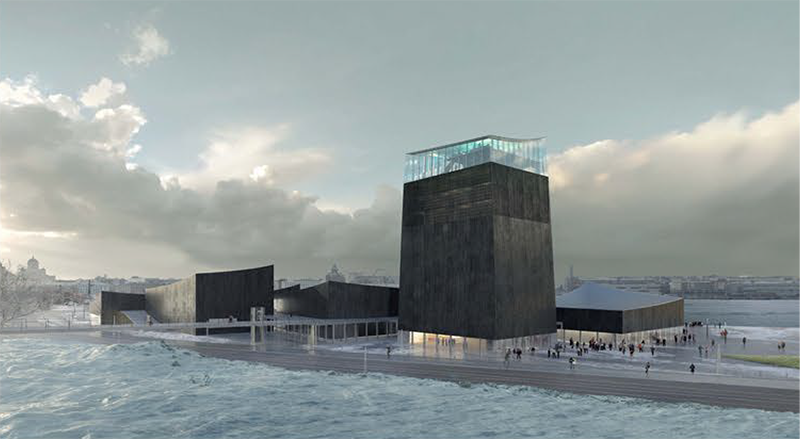 The Solomon R. Guggenheim Foundation presented a revised proposal for the Guggenheim Helsinki museum. The Helsinki City Board reserved a site at Eteläsatama on the South Harbor for the Guggenheim Helsinki Design Competition. The Guggenheim Helsinki Design Competition attracted more than 1,700 proposals from 77 countries. 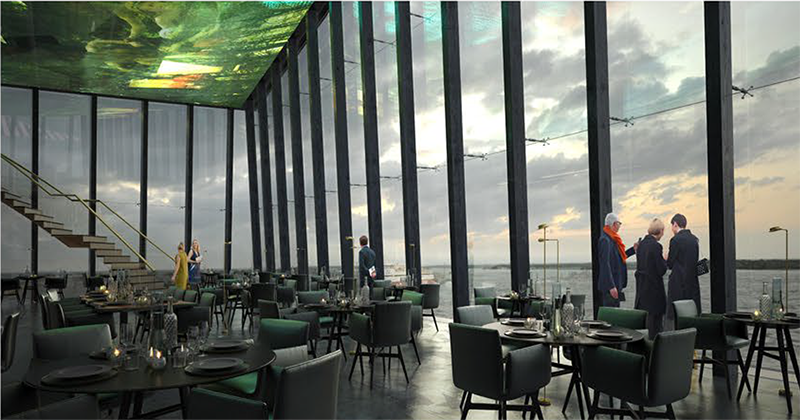 Art in the City, a proposal by Moreau Kusunoki Architectes, was announced as the winner of the Guggenheim Helsinki Design Competition. The City of Helsinki presented an updated proposal. The Helsinki City Board accepted the proposal. The Helsinki City Council rejected the museum proposal. Founded in 1937, the Solomon R. Guggenheim Foundation is dedicated to promoting the understanding and appreciation of art, primarily of the modern and contemporary periods, through exhibitions, education programs, research initiatives, and publications. The Guggenheim network that began in the 1970s when the Solomon R. Guggenheim Museum, New York, was joined by the Peggy Guggenheim Collection, Venice, has since expanded to include the Guggenheim Museum Bilbao (opened 1997), and the Guggenheim Abu Dhabi (currently in development). The Guggenheim Foundation continues to forge international collaborations that celebrate contemporary art, architecture, and design within and beyond the walls of the museum, including the Guggenheim UBS MAP Global Art Initiative and The Robert H. N. Ho Family Foundation Chinese Art Initiative. More information about the Solomon R. Guggenheim Foundation can be found at guggenheim.org. The purpose of the Guggenheim Helsinki Supporting Foundation was to support the development of a Guggenheim Helsinki museum. The Solomon R. Guggenheim Foundation, the Finnish Hospitality Association MaRa, and the Confederation of Finnish Construction Industries RT established the Foundation in Helsinki in spring 2014. Ari Lahti, an investment banker, was the Supporting Foundation's Chairman of the Board.